There are currently 3.4 million Mexicans in the United States who are eligible for US citizenship, however, only a small fraction initiate the citizenship process. Lifelong stability and family security by avoiding deportation. Access to better jobs and salaries. Access to better education and the possibility to apply for scholarships. Greater respect for an individual’s human rights. The most common reasons for not seeking the US citizenship are: not speaking English, not having money, not knowing its advantages, and the fear of losing the Mexican citizenship. All this stems from a lack of available information that has created the notion that the citizenship process is inaccessible for the majority of eligible immigrants. With the aim of promoting the path to citizenship among Mexicans living in the United States, the National Autonomous University of Mexico (UNAM), the National Human Rights Commission (CNDH) and the Carlos Slim Foundation (CSF) are collaborating within the scope of the “Immigrant Support Program” by offering much needed information, tools and support to the immigrant community. To launch the alliance, Enrique Graue Wiechers, President of UNAM, Raul González Pérez, President of the CNDH and Héctor Slim Seade, representative of CSF met last September in San Antonio, Texas. The meeting was also attended by Reyna Torres, Mexican Consul in San Antonio, the Directors of the UNAM representations in Chicago, Los Angeles, San Antonio, Seattle and Tucson, and representatives of Latino organizations in the United States, such as Carmen Cornejo, Chairperson of the Board of Chicanos por la Causa. “Ciudadanízate”, a free, on-line training course to prepare individuals for the US Citizenship Test. “The Plan is to have a Plan”, a repository developed the CNDH aimed at providing immigrants information on how to protect their families and property, and how to access legal help in case of deportation. Access to free legal support. Psychological counseling via a phone and WhatsApp messages both in the US and in Mexico. Information on how to obtain loans to pay for the citizenship process. This is part of CSF ample work on supporting Mexican and Latin American immigrants in the United States. As part of this line of action, CSF and Chicanos por la Causa established a collaboration agreement to financially support Mexican nationals in their citizenship process. 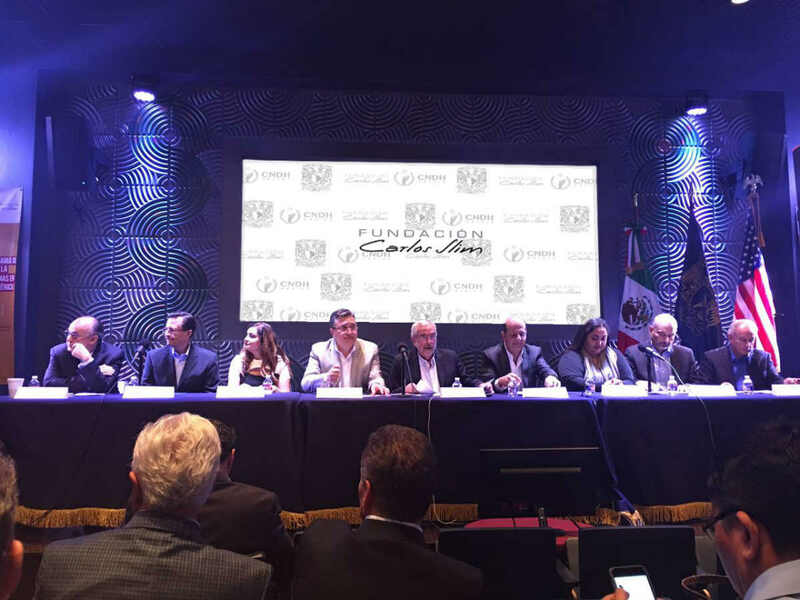 With this alliance with UNAM and the CNDH, CSF reinforces its commitment with the Latino community in the United States.